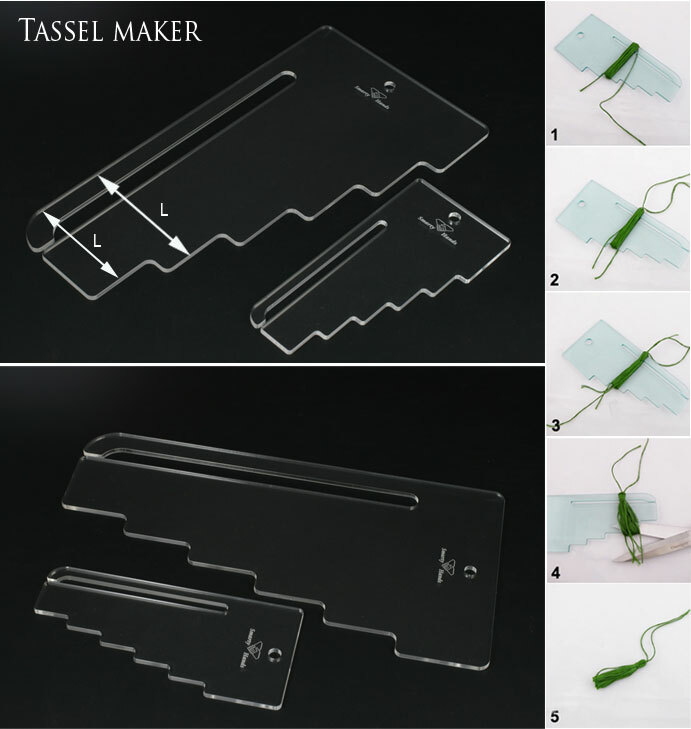 These tools will enable anyone to create the perfect tassel. Each tool has stair-steps, which enable the tools to be used to make several sizes of tassels. These tools have a hole for hanging and a slit in the top of the tool, and then slipped off the tool. There are 2 size available. The maker of this tools is different from the video instruction, but the usage and application is same. You can buy even though stock is not available (or not enough). Attention : Usually it takes like 1 weeks until we can get the stock and send to you.